for land tended to come from within 25 miles of Edinburgh. and, the northern half of The Fews in Armagh. and to a large degree the family location of many Scots. the vicinity of Ayr, Renfrew, Wigtown and Lanark. excess of 30,000, of which about 60% were Scottish. 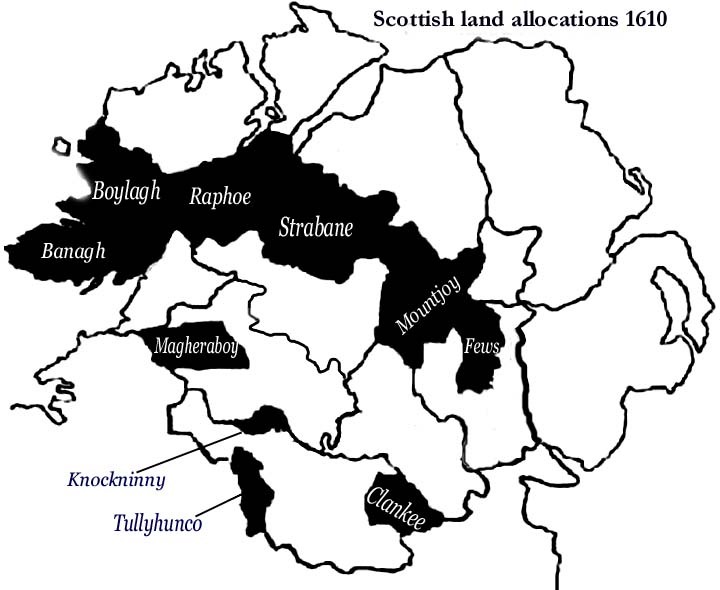 baronies of Boylagh and Banagh, and Portlough, originated. Beltany and Joseph Orr in Drumay . townland of The New Park) in 1669.